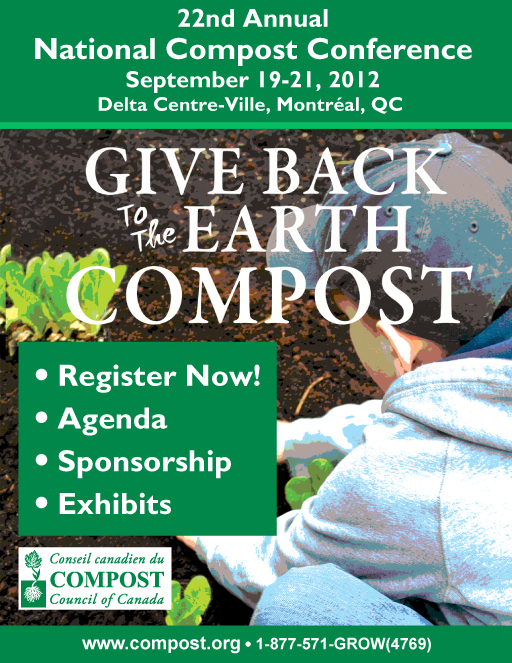 The 22nd Annual National Compost Conference will take place on September 19-21, 2012 at Delta Centre-Ville, Montréal, QC. The conference begins with a Tour Day on Wednesday September 19:th. The tour will include McGill University’s On-Site Composting with Big Hanna Composter. Click here for more information about the conference and how to attend.